So just to put this out in front, “Kemonomimi” literally means “animal ears.” So then, logically, kemonomimi girls are girls with animal ears. Neko is the Japanese term for a cat. But it doesn’t really stop there. 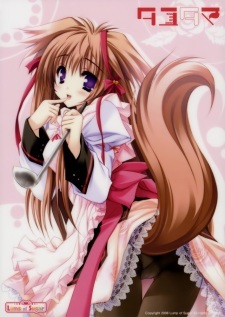 Really, it’s a blanket term for anthropomorphic characters in anime, so we’re going to be looking at girls who look pretty much human, but have ears, a tail, and maybe some extra fur. It all counts. Here are 10 kemonomimis to look out for. Oh, there’s another thing about kemonomimi girls to note. For some reason, they tend to have really, really long lifespans. Kurousagi is about 200 years old. All things considered, she looks good. It’s not always about being cutesy, sometimes the point of a kemonomimi is unleashing primal, animal instincts in battle. But having said that, Himari is also in love with the main character, along with four or five other women, so obviously the softer side exists as well. It’s a harem series, so know what you’re getting into here. 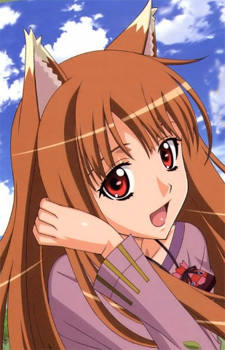 Perhaps the most recognizable kemonomimi in all of anime, Holo is one of the two main characters in Spice & Wolf. Holo makes up the “Wolf” part of the title. Holo is a harvest diety whose power has declined as people stopped believing in her, and the stories about her have slipped into the realm of myth. So she’s decided to leave, and that leads her to join up with traveling merchant Lawrence. The two of them make an incredible trading team, as Lawrence knows how to read markets, and Holo has an uncanny sense for people. Liru is a werewolf, which totally counts. 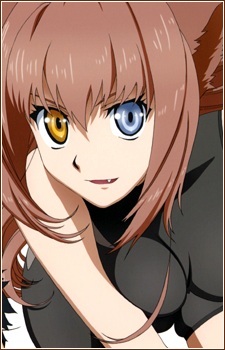 She is energetic and playful, and unlike many of the girls on the list, can actually transform into a fully animal form. Being a werewolf, Liru reacts to the full moon – that’s what drives her transformation. But oddly enough, the actual moon itself doesn’t seem to be what triggers her. She instead reacts to objects shaped like a full moon. So, circles then. 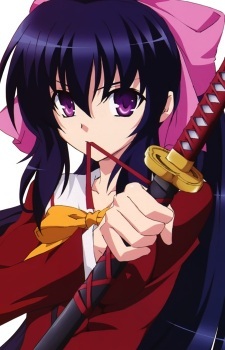 Mito does exactly what she is supposed to do as a primary love interest in a harem anime – falls in love with the main character pretty much immediately, and unconditionally. She is a “Tayutai” girl – one of a number of spirits who get turned loose when an ancient relic’s seal is broken by amateur exorcist Yuuri Mito. No, it isn’t a coincidence that these characters share a last name, by the way. Ai is a thief, and was actually not born as the half wolf she is in the series. This is actually the result of her undergoing an experiment merging her and a “lost precious,” the relics that drive the plot of Dragon Crisis! She lies that her parents are dead and that she was born this way, but it’s mostly a way for her to hide from her identity. She has a difficult time accepting her half-wolf nature for a while. When she does, she becomes playful, sharp-tongued, and loses all sense of modesty. Of course, that’s only part of it. She’s also a bit of a problem when she decides to unleash her brutal, violent side. 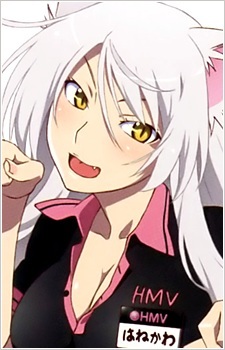 Black Hanekawa sports superhuman strength – and often a revealing set of clothing – making her a difficult adversary. She also does stuff like this. 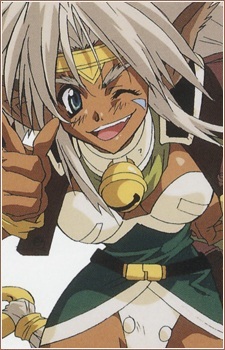 Aisha Clanclan is probably a lot of anime fans’ first exposure to an anime catgirl. She featured as a main protagonist/rival character in Outlaw Star, an anime that made it to the orignal Toonami runs on Cartoon Network. 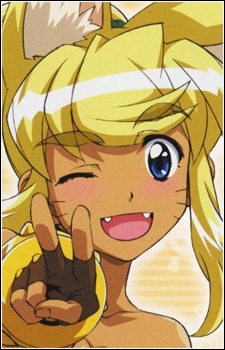 Loud, brash, and impulsive, Aisha belongs to a unique race in the series called the Ctarl-Ctarl, explained in the series to be a sort of cross between a human and a tiger. Aisha is one of those anime catgirls who displays toughness more than cuteness. She is quite possibly the strongest member of the crew. Some people are into cats. Some people are into teachers. If you’re one of the lucky few who likes both, great. Shizuka Nekonome is a cat teacher. She likes fish, and says “meow” in sentences, and everything else you would expect. Her signature move is to lecture students about the need to maintain their human forms, while herself failing to put her tail away. Okay, this is cheating a little bit. 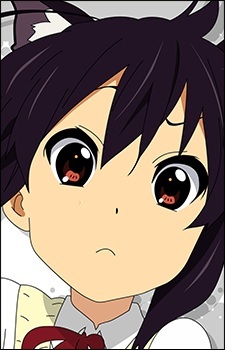 Azusa is a normal girl, and a very talented guitarist who wants to join the light music club to actually play music. She’s motivated and driven, and often scolds her seniors for not taking practice seriously enough. So why is she on this list? Well, the rest of the girls in the light music club, in what can only be described as a hazing ritual, force Azusa to wear a cat-eared headband as one of her first assignments in the club. This becomes such a life-changing event for everyone, she gains the nickname “Azu-nyan” for the rest of the series, and is very rarely called anything else. 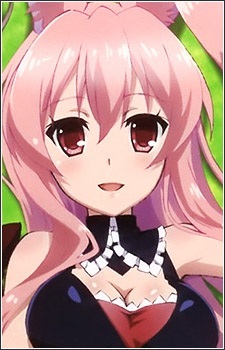 So she’s not technically a cat girl, but the temporary presence of the cat ears was completely central to her character. 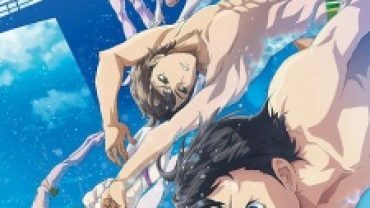 6 Similar Anime Like DIVE! !